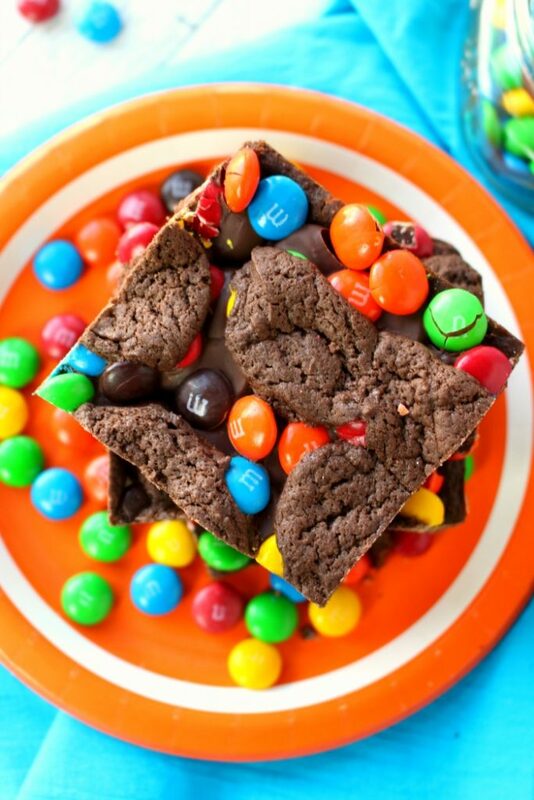 Made with the help of a cake mix and a few other ingredients, these Double Chocolate M&M Bars are fantastic! 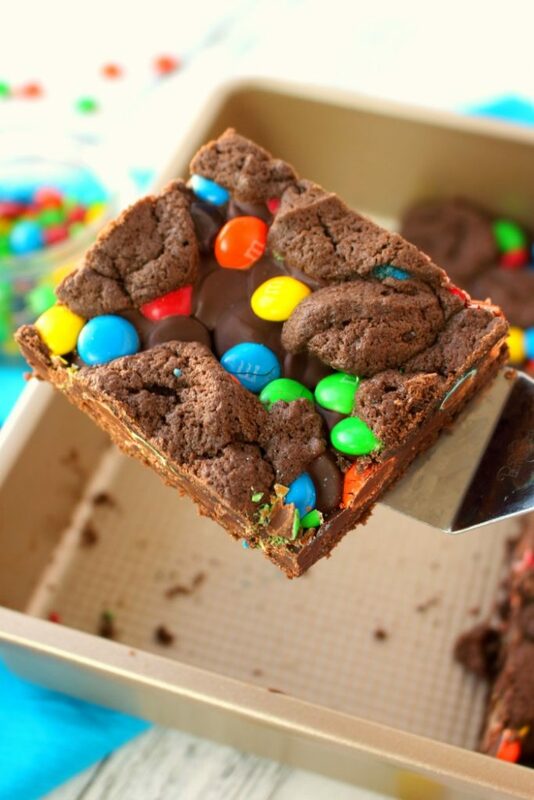 Loads of milk chocolate M&M’s candies and semi-sweet chocolate chips are in the center of these cookie bars, sandwiched between the cake mix batter. Perfect for an after-school snack or a lunchbox surprise! 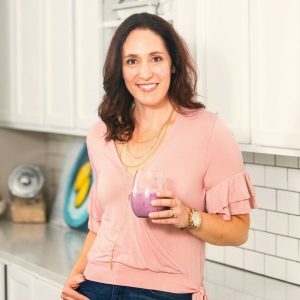 Have you ever made something other than a cake from a cake mix? Yep, not only is it possible, but you can make lots of things other than a cake from a cake mix – my Red Velvet Peppermint Kiss Cookies and Double Chocolate Turtle Bars are the perfect examples! I’ve got a super-delicious, chocolate loaded cookie bar recipe that is just 5 ingredients including the cake mix!!! How awesome is that?! This recipe is actually a simple adaptation from my Double Chocolate Turtle Bar recipe that also uses a chocolate cake mix for the bottom and top crust. 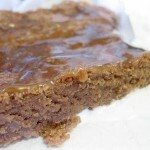 The crust batter is very simple – it’s made of the chocolate cake mix, melted butter and milk. You mix it together, and spread half of the batter into the bottom of a 9×13″ pan, then bake. 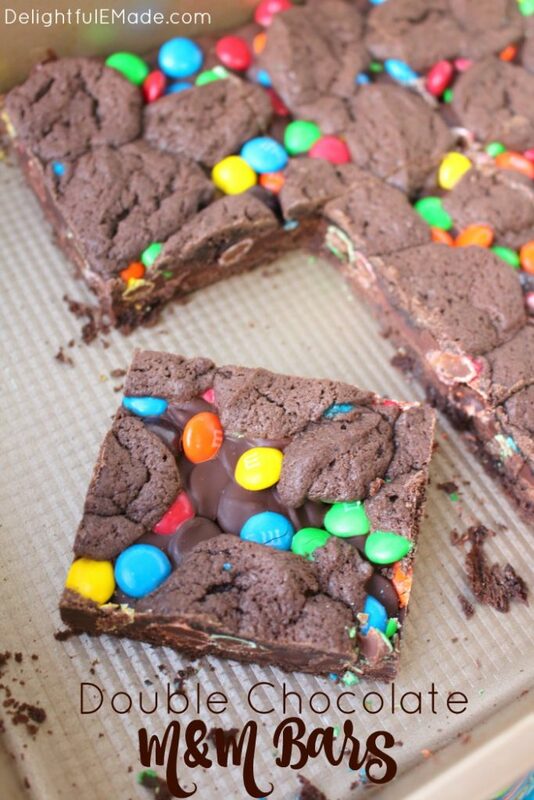 Once the bottom crust is baked, you’ll then layer on semi-sweet chocolate chips, and lots of yummy milk chocolate M&M candies while the bottom crust is still warm. 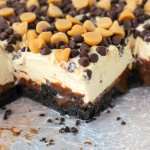 Once the chocolate chips and M&M’s are layered on top of the bottom crust, you’ll then add dollops or spoonfuls of the remainder of the crust/cake mix batter on top. You’ll then bake these for an additional 15 minutes to cook the top crust. Once done and cooled, these bars are amazing! Cross between a brownie and a cookie, these bars are tender, chewy and loaded with chocolate deliciousness. 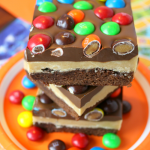 Cut into squares, you’ll discover the middle of these bars is an amazing layer of chocolate chips and colorful M&M’s. 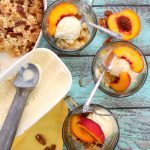 They’re perfect for enjoying with a big glass of milk or a latte. I’ve cooled, cut and wrapped these bars, and froze to take out for special lunch box surprises, a fun baseball game snack or even a road trip treat! 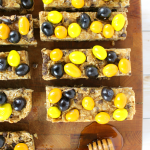 But let’s face it, you really don’t need an excuse or an occasion to make these super-simple bars. Make them anytime you’re in the mood for a chocolate fix. 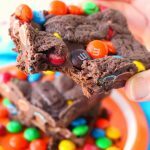 Made with the help of a cake mix and a few other ingredients, these Double Chocolate M&M Bars are fantastic! 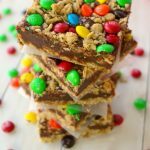 Loads of milk chocolate M&M's candies and semi-sweet chocolate chips are in the center of these cookie bars, sandwiched between the cake mix batter. Perfect for an after-school snack or a lunchbox surprise! In a bowl, combine the cake mix, melted butter and milk. Mix until completely combined. Spread 1/2 of the batter into an even layer on the bottom of the prepared pan. Make sure to reserve the remainder of the batter. Bake the bottom crust for 15 minutes at 350 degrees. Remove from oven. 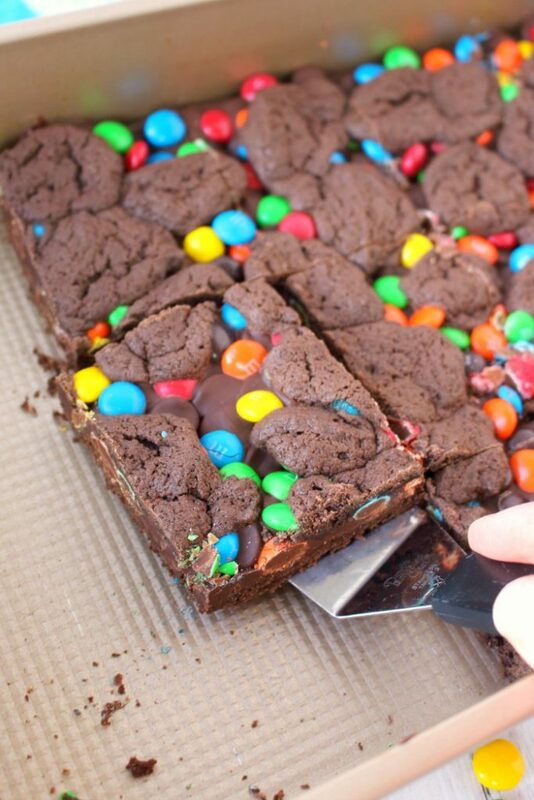 While bottom crust is still warm, evenly sprinkle on the chocolate chips and then the M&M's. 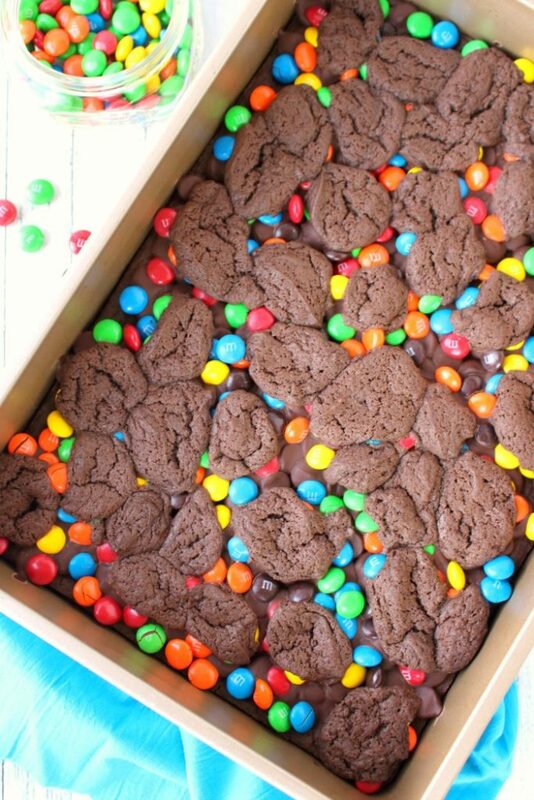 Using a teaspoon, evenly spoon small dollops of the reserved batter over the M&M layer. Bake again for an additional 15 minutes. OOh, those look so yummy! Pinned for sure.